The continuation of my last week's visit to the Idle Thumbs podcast, part XI-2, has been posted online for listening pleasure. The second half of a marathon recording session, this one only goes further down the rabbit hole. Dazzle at our lengthy digressions and obscure gaming references. 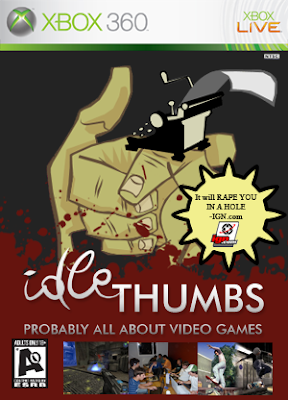 Idle Thumbs GOTY is revealed (hint: it's Fallout 3) as well as less-predictable GOTY entries from a number of listeners.